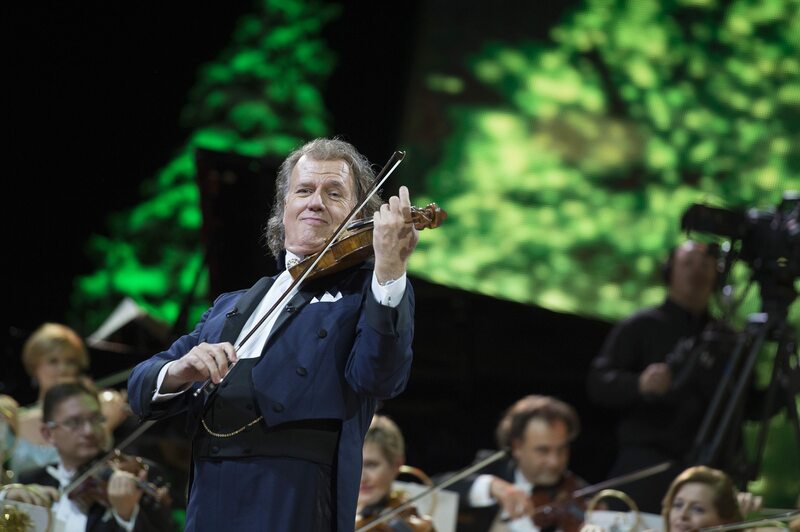 Andre Rieu: Christmas With Andre Cinema Event Breaks 2015 Single Day Box Office Record! Event Cinema specialists CinemaLive are pleased to announce that Andre Rieu: Christmas with Andre has broken his own previous box office record, to become the highest grossing single day music concert event of all time at the UK & Irish box office. Christmas with Andre screened at 480 cinema locations in the UK & Ireland on Saturday 19 November and grossed a verified result of £1,171,735 (source: comScore). The event featured a never-before-seen recorded Christmas concert, a personal live tour of Andre’s hometown of Maastricht and a live Q&A with Andre hosted by Good Morning Britain’s Charlotte Hawkins. The event surpassed Andre Rieu’s 2015 Maastricht concert in cinemas which previously took £1,034,000 on a single day. CinemaLive Director & CEO, Peter Skillman, said today: “We are once again incredibly proud of yet another record-breaking result for Andre Rieu at the UK & Irish box office. Cinema audiences have had the opportunity to experience two different offerings from Andre this year. Firstly, with the 2016 Maastricht Concert and now Christmas with Andre this past weekend. It’s wonderful to see Andre’s dedicated audience come together to enjoy a festive concert experience at their local cinema”. The concert also screened at a further 223 cinemas across Europe, including in The Netherlands, Germany and Belgium. This Sunday (27 November) will see encore screenings taking place at 290 cinemas across the UK & Ireland plus 57 screenings in Europe. Screenings will also be taking place in Australia & New Zealand this coming weekend, followed by Canada on 1 December. Past CinemaLive releases have included Elton John: The Million Dollar Piano, Nirvana: Live at the Paramount, Imagine Dragons: Smoke + Mirrors Live and Fare Thee Well: Celebrating 50 Years of Grateful Dead. CinemaLive, is a multi-award winning specialist in Event Cinema which distributes and delivers live and recorded content theatrically to over 70 countries wide covering a range of genres including music concerts, opera, theatre, musicals and comedy.